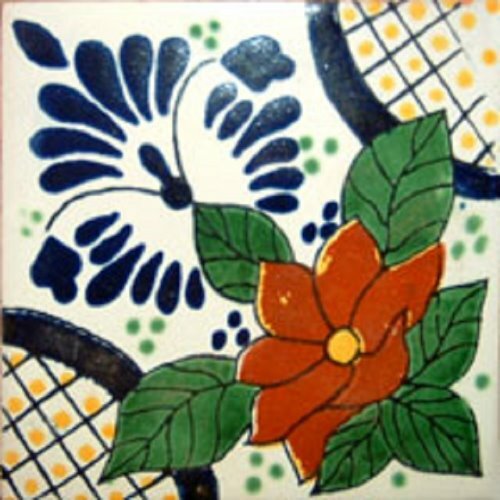 Even though Mexican Tile “Arteaga”’ design can look like a classic Talavera style, suddenly it has this green and red flower pattern that makes it really unique and rare. Due to many colors that were used in hand painting, it can be used in many diverse decors as it can match white, blue or greenish outlays. Decorated with green, terracotta and navy blue Talavera tile design will bring a rustic flair to any room.